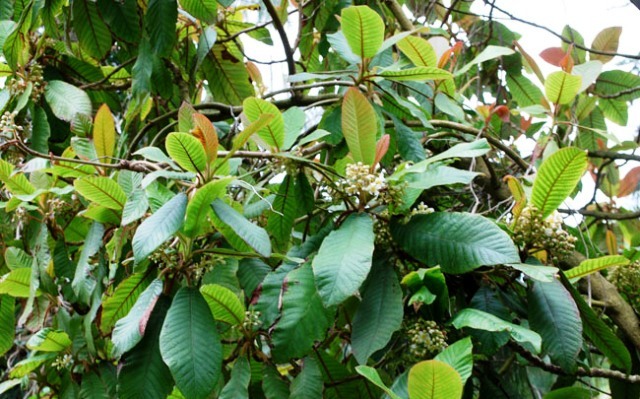 Saurauia berry is a relative of kiwi. 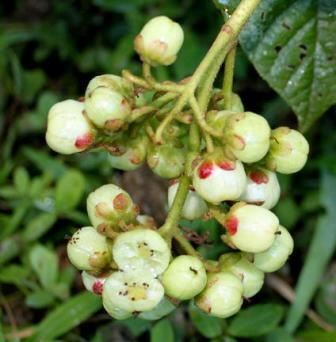 It bears small greenish fruits which are very sweet in taste. The pulp is mucilaginous, sticky and filled with numerous small seeds. It is believed to be a native to the Sierra Madre mountain region of Mexico. This fruit is vitually unknown outside Central America. Locals people collect the fruits to eat and also offer them for sale alongwith other fruits in the local markets in Central America. A short to medium sized tree growing to 5-10 m.
Leaves large, prominently veined leaves and quite attractive. Flowers white, borne in cluster of a dozen or more. Fruits small, light green, often with a blush of pink. The fruits are edible and eaten by local people. The tree looks quite ornamental. It also bears very showy flowers. So it is quite suitable for planting around homes, in gardens and public parks. This fruit therefore deserves to be promoted. 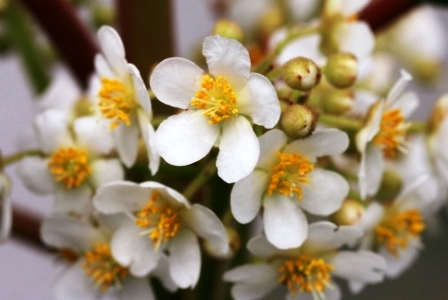 Saurauia berry grows well in cooler subtropical climates where there is very little frost. It seems to prefer locations which have full sun or partial shade. It should be planted iin well drained soils only. It will also require frequent watering. New plants can be raised from seed which germinates very easily without any special presowing treatment.